This crochet fan stitch is distinguished by its originality and charm. 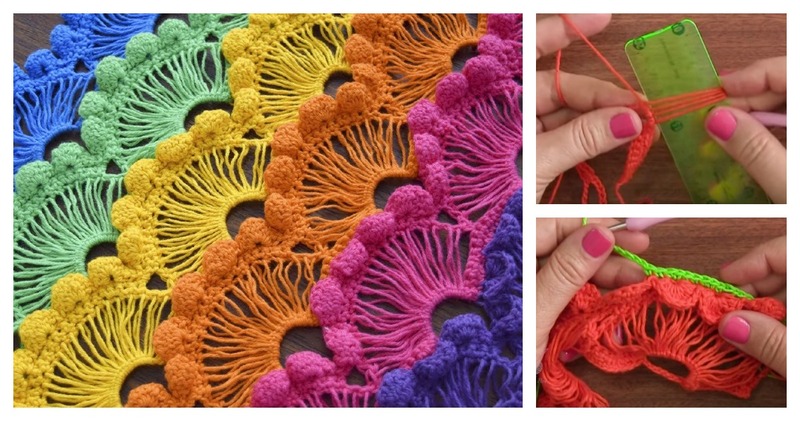 This is one of the most eye-catching crochet stitch I’ve ever seen or worked with. It clearly shows the character and texture of your yarn. You can use it in making lots of different items, such as scarfs, tops, sweaters, hats, boleros and so on. It is a fabulous technique to have in your crochet stitch arsenal. The video instruction is perfect to understand and learn every detail of your future working process. Happy crocheting!